Bayern Munich's stranglehold on German football is currently under threat. The German champions for the last six consecutive seasons are currently second on the Bundesliga table behind leaders Borussia Dortmund. Liverpool's situation, on the other hand, is the exact opposite. After going almost 30 years without an English league title, this season might be the best opportunity for the once-dominant English force to end years of torture. The last non-Bayern manager to win the Bundesliga is none other than Liverpool coach Jürgen Klopp. Klopp's pulsating Dortmund team won back to back Bundesliga titles in 2011 and 2012. 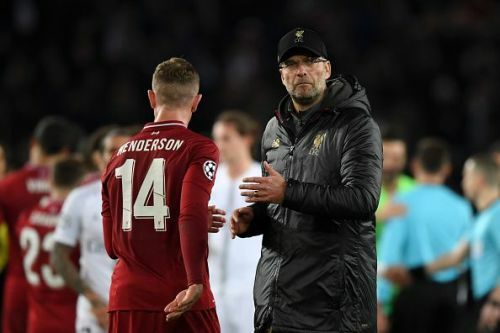 However, continental success has time and time again eluded Klopp; Bayern ended his European dream by sending his Dortmund squad packing in the 2013 Champions League final and this tie presents the ideal opportunity for some German vengeance. Niko Kovač's first season in charge of Germany's most powerful team has been less than smooth, with club symbols, president Uli Hoeness, chairman Karl-Heinz Rummenigge and sporting director Hasan Salihamidzic even holding a mid-season press conference to give public backing to the manager. A deep European run can save Kovač's blushes if Bayern do indeed fail in their quest for the Bundesliga title. Liverpool fans on the flip side might be thinking another European run might be too much for their squad to handle especially with Premier League title to play for. Last season, despite making it all the way to the Champions League final, Liverpool finished 4th in the Premier League as they struggled to balance European and domestic commitments. Liverpool have spent a lot to build a squad capable of handling multiple competitions but Manchester City's resilience means despite losing just one game all season they still have a fight on their hands for the Premier League. The Champions League hasn't been smooth sailing either as the Reds needed a narrow victory against Napoli in their final group game to seal progression. The last time these two teams met was at Bayern's annual pre-season Audi Cup in 2017. Liverpool ran out 3-0 winners, although that game was of little significance. The suspended Virgil Van Dijk is a colossal complication for Liverpool. The world's most expensive defender and Dutch national team captain will miss the first leg at Anfield. In addition, the backline is suffering from a series of injuries. Lovern is pushing to prove his fitness ahead of the fixture, Trent Alexander-Arnold has been out for a while and Joe Gomez looks like he will definitely be out. Salah has already shown England that he is no one-season wonder and if Liverpool are to progress from this stage he will have to show Europe the same. Bayern have a few problems to deal with themselves. 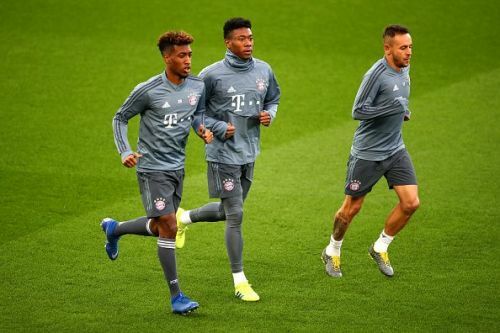 Thomas Muller will miss both legs of the fixture due to suspension.Without their Raumdeuter, Bayern may turn to Colombian superstar James Rodriguez or give Leon Goretzka a more advanced role. The club are also sweating over the fitness of Robben and Ribery. Another problem Kovac is faced with is the position of Joshua Kimmich. Kimmich has been used as a midfielder quite frequently this season, but might not feature against the Reds. Niklas Süle is expected to be given the nod in the middle of the defence, while Manuel Neuer is another injury concern for the German side. The legendary Pole is having yet another outstanding season and is by far Bayern's most likely source for goals. Liverpool would know this and no one knows the striker better than Klopp, who brought the player to Germany. If Lewa has any weakness at all, Klopp would be aware, however knowing how to stop him and actually doing it are two different things.